It's nice to have some meaningful but quick and easy art lessons up your sleeve. 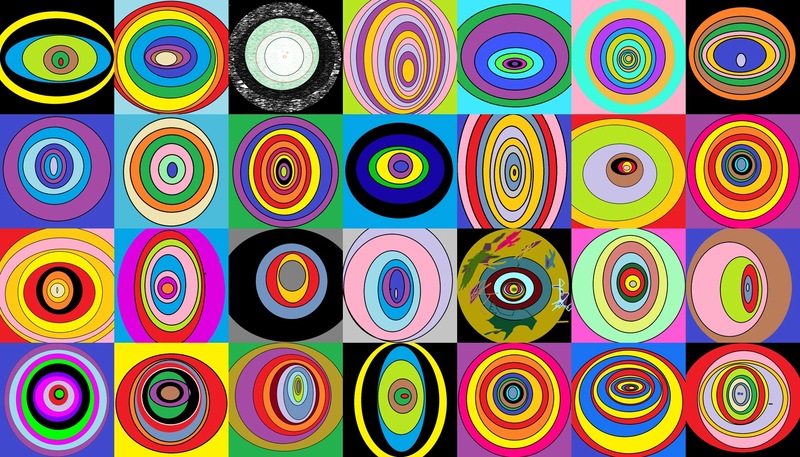 Here we imitated Kandinsky's famous "circle" art using a simple computer paint program. Small disclaimer: there's no guarantee it will take 10 minutes! It could take a little less or lots more depending on all the usual variables... But I can say that of the multiple students I tried this lesson with (ranging in age from 6 to 12 years old), they were all really engaged. I briefly introduced the students to Russian artist Wassily Kandinsky and his Farbstudie Quadrate work from 1913. 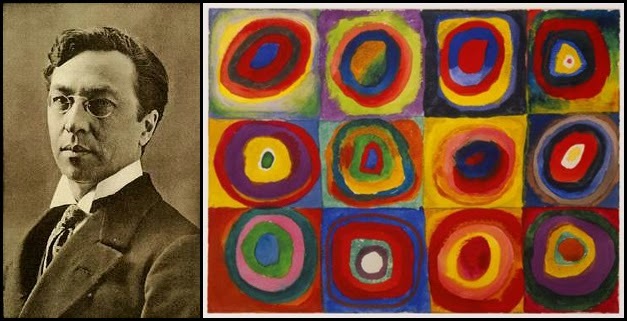 There's a small photo of Kandinsky and his original art at the bottom of this post. 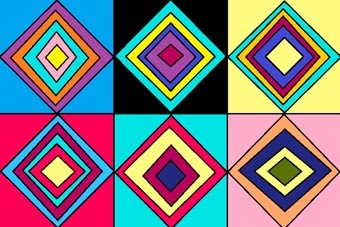 Using the computer paint program the students then made their own concentric shape patterns. The grid of circles above is the combined results of a year 2 class. Each child was responsible for one square in the matrix, pasted collectively here for your viewing pleasure! 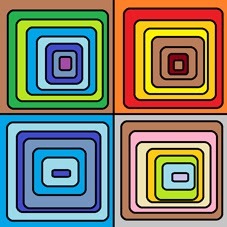 Immediately below is a collection of other shapes used by year 2. The next collection (below) is by year 4 students. Click on the image to see all the nuances up close. I originally intended for all the year 4 students to make a grid of four concentric shapes, but had a bit of a brain freeze and asked some classes to make a grid of 4 and others a grid of 6... however with a bit of extra effort I still managed to stick them altogether in a rectangular shape : ) Down the track I'll post work from year 1, 3, 5 and 6 as well. Below is one student's example of what I'd intended for all of year 4 to create (all of year 3 and some of year 4 made these). Year 1 and 2 all created a single shape. And below is a great example of a year 4 grid of six. All students in years 5 and 6 made grids of six. And last (but not least), here's Wassily Kandinsky and the original work that inspired this lesson. 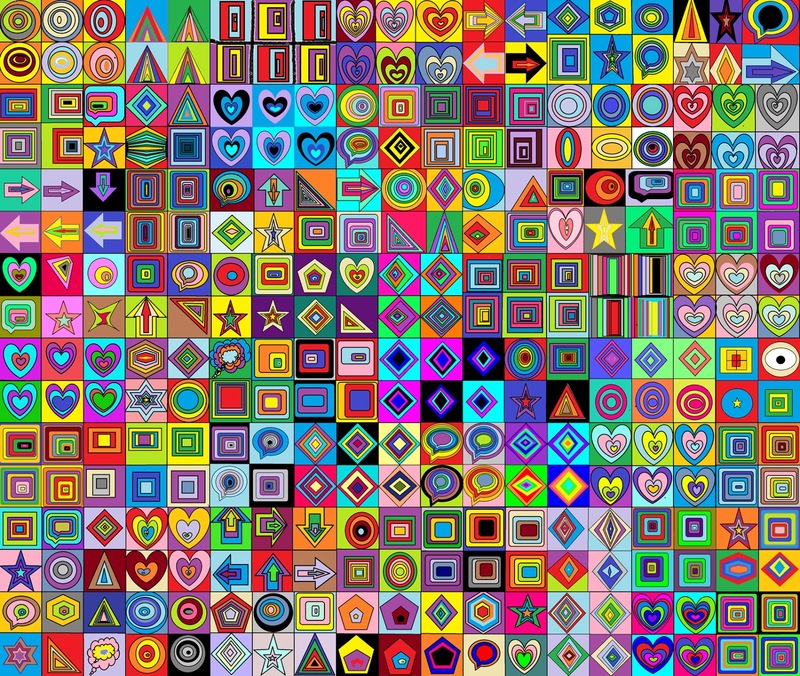 That big multi-piece would be an awesome pattern for a fabric design. I can see it covering a chair or footstool, or perhaps on a really funky tote bag. Or on a rug or floor cloth or maybe a blanket or oversized pillow. Nice! I'm sure this would work on iPads as well. 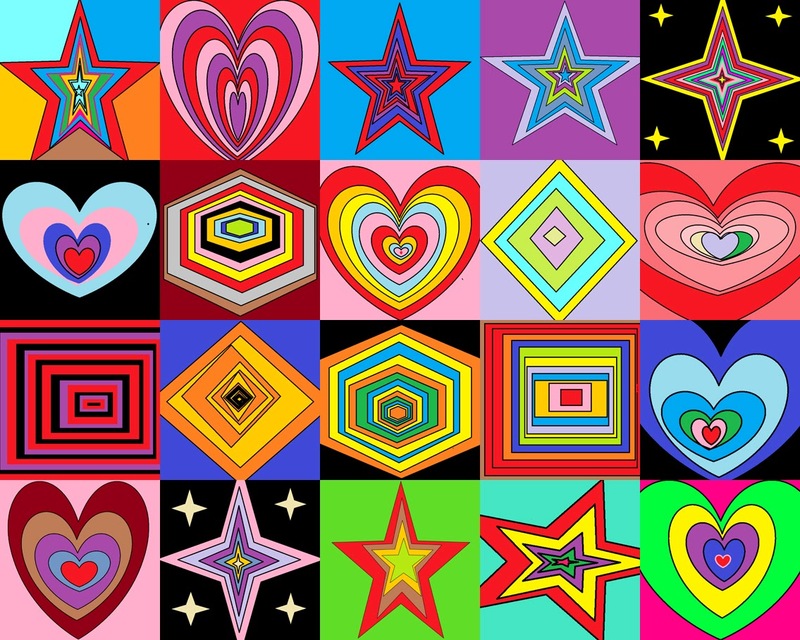 Love these cheerful prints! The big grid looks like a patchwork quilt ..one that I want! Me encaaaaaaaannnnntan, es que lo del trabajo colectivo es la caña, ¿verdad? Outstanding post, Mr.Hall! I love teaching kids about Kandinsky and his "musical art". Thanks for presenting a unique new way to teach my students about one of my favorite paintings by this great artist. Hello I think this is an amazing project but which program did you use? Thanks Spencer : ) It was just the stock standard microsoft paint program available on their school computers, then I made the collage of their saved images using photoshop.